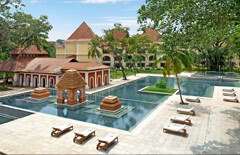 Goa is one of the top beach wedding destinations in Asia. 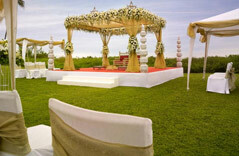 Choose from a variety of Wedding Venues & Resorts that Goa has to offer. Plan Your wedding at a luxurious beach resort, a scenic waterfront or even a historic fort. We have some of the very best photography & cinematography teams based in Goa who can help you capture your wedding memories for a life time. We also offer instant photo booth services for weddings. It isn't a party without music & dance. Choose the perfect entertainment for your wedding in Goa, the land which has been blessed with many talented Music Bands, DJs & Dance Troupes.